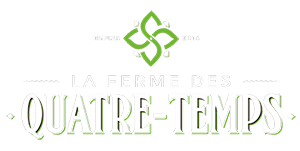 By purchasing the Ferme des Quatre-Temps Loyalty Card, you prepay your purchases at farmers' markets and get discounts throughout the season. You will also receive an exclusive access to our annual farm visit. Buy the Loyalty Card for $ 200, $ 350 or $ 500 on our website. Receive the Loyalty Card at home by mail. Present your Loyalty Card to one of our farmer's market stands when paying for your purchases. The discount will be applied automatically and the amount of your purchases will be deducted from your card.